Around 60 of last year’s leavers who are now two terms into their degree courses came back to QE to contribute to the School’s Universities Convention. With fresh experience of university life, and with the Sixth Form and university application process such a recent memory, they were well-placed to give some first-hand advice to current Year 12 pupils. Headmaster Neil Enright said: “There is always a good turnout for the convention, and it is excellent to see that that each new cohort of OEs is so willing to stay connected with the School and to actively support it. “These, the youngest of our Old Elizabethans, are able to provide very current insights into their various courses, clubs and societies and their chosen universities. As such, they are a trusted and valuable source of information for our sixth-formers. The returning alumni had the opportunity to catch up both with each other and with their former teachers in a buffet lunch held for them in the Main Hall, which was provided with assistance from the Friends of Queen Elizabeth’s. The Year 12 boys were encouraged to be quite specific with their questions to the alumni, asking, for example whether there was anything the students wished someone had told them before they applied. The current pupils also quizzed the OEs on topics such as the cost of accommodation in university cities. 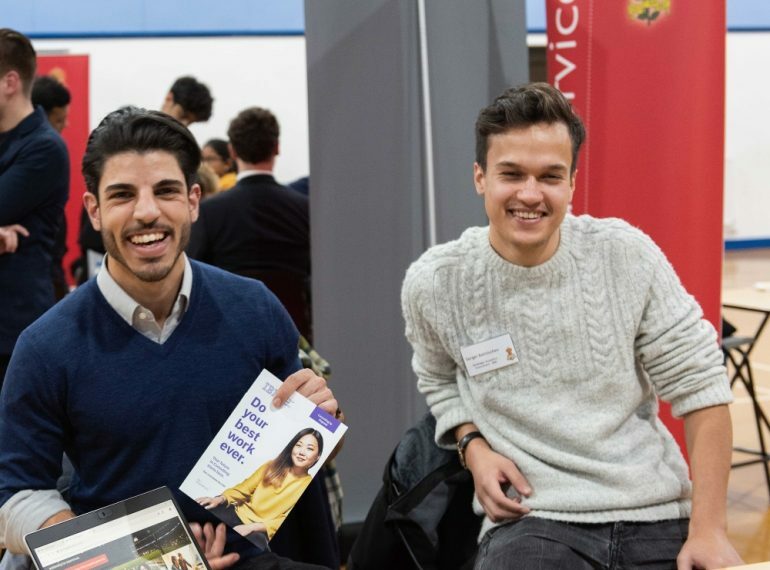 The Universities Convention is part of QE’s University admissions Support Programme (USP), which is designed to ensure boys receive the best advice, guidance and assistance in preparing university applications. 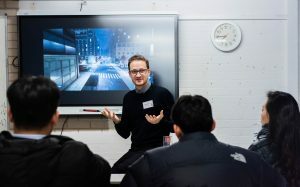 This sits alongside the broader careers provision, through which boys can look at the jobs, professions and industries they might wish to pursue after university, or what other paths they might want to take upon leaving the School. 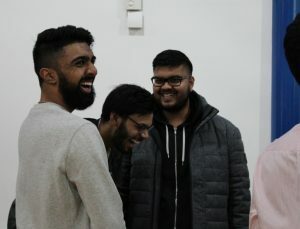 Some of the students at the convention had also been in to the School the previous week in order to speak to Year 13 on similar issues: Abbas Adejonwo, Rehaan Bapoo, Dhruv Kanabar, Yashwanth Matta and Oliver Robinson gave advice based upon their experiences as first-year undergraduates at Cambridge, Oxford and Warwick. The first Elizabethan ever to go to California’s Stanford University sang the praises of studying stateside when he returned to speak to senior pupils at QE. Stanford comes at or near the top of most global university rankings, with Times Higher Education naming it as one of its six world ‘super-brands’, together with Cambridge, Oxford, Berkeley, Harvard and MIT. 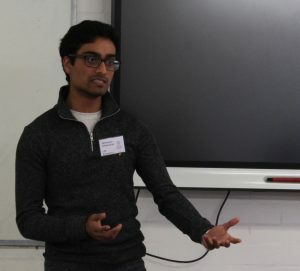 Valavan Ananthakumaraswamy OE (2009-2016), who chose to follow a mixed Liberal Arts programme for the first two years of his degree, told the current QE pupils that he had been particularly attracted by the wide range of subjects available through the US university system and by the closer relationships with professors. He appreciated the excellent facilities and also the flexibility available to students when choosing classes, giving them more control over their own workload. Valavan applied to Stanford after winning a place on the Sutton Trust’s US Programme – a scheme delivered by the educational charity in partnership with the US-UK Fulbright Commission to give bright British state school pupils a taste of life in American higher education. His profile for the programme recorded that his family originally come from Sri Lanka, but were displaced by the civil war. The report also stated that Valavan saw his community service as “the most important part of him”. In 2014, Valavan helped found The Youth Project, a global movement of young people striving to make the world a better place, which now operates in 14 countries. Extensive extra-curricular opportunities are a feature of the American system, he told the QE puipls on his recent visit, recalling his involvement with charity work while at QE and saying that this is something he has been keen to continue with at Stanford. Palo Alto’s 300 days of sunshine each year were undoubtedly another attraction, as was the campus culture and the sense of community that this fosters. Valavan said he has been enjoying ‘dorm life’, adding that in his first year, he went on a skiing trip that was actually funded by the dormitory. Valavan offered guidance on the application process, covering the nature of the aptitude tests, including SATs and ACTs (the two different tests that applicants are required to take for admittance to a US university). His main piece of advice was that applicants should just keep practising! He advised boys to look into the possibility of financial aid for study in the US, covering the difference between ‘need-blind’ and ‘need-aware’ – terms used in the US, with the former meaning a university admission policy under which an applicant’s financial situation is not considered when deciding admission. A big advantage for those able to secure such financial aid was that, unlike in the UK, there was then no need for a student loan, Valavan said. When asked about challenges he had faced, Valavan spoke about how he had to adapt to the culture of America. TV shows, shops and sports are all different there. He mentioned that President Trump was elected in first the two months of his studying there. He added that he likes the challenge of adapting and finds it exciting. Boys were shocked to discover how much money is deducted at source when they learned how to decipher a payslip in a financial capability workshop, reported Head of Pupil Development Sarah Westcott. The Year 8 boys also learned about the types of bank account they could access both now and in the future, as well as finding out about the importance of budgeting. Further tasks then required the boys to think about different kinds of debt – what is a ’good’ debt, such as a mortgage, and what is a ‘bad’ debt, such as a store card or payday loan. The event was organised with leading international and UK bank HSBC. It took place during one of the boys’ Personal Development Time (PDT) sessions. PDT lies at the heart of QE’s comprehensive pastoral support system and is focused on making pupils ‘confident and responsible’, in line with the School’s mission. All boys receive 90 minutes of PDT each week. 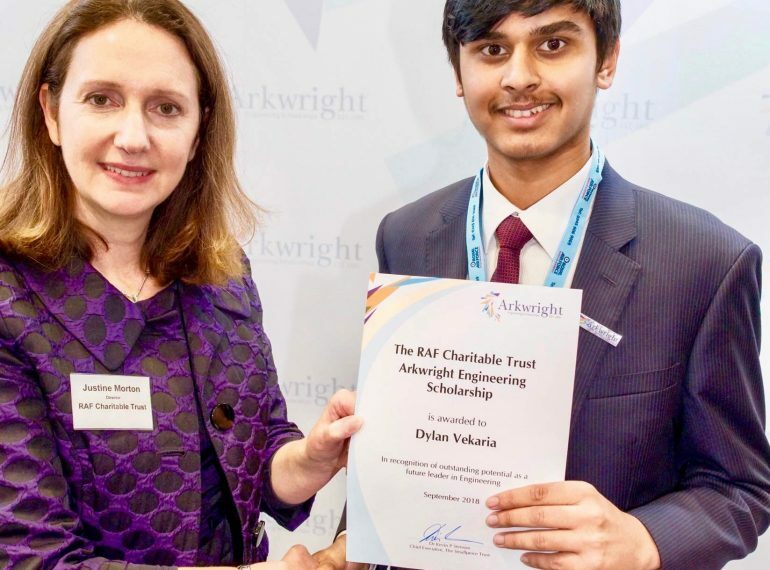 Sixth-former Dylan Vekaria has been awarded a prestigious engineering scholarship with the RAF after successfully negotiating a rigorous selection progress. Year 12’s Dylan received his Arkwright Engineering Scholarship, which is funded by the RAF Charitable Trust, from Group Captain Tony Keeling at a special ceremony at the Institute of Engineering and Technology, based in central London. The Arkwright Scholarship Trust is a charity which aims to identify talented, potential top engineers, and to encourage them to pursue the subject at university. The scholarships themselves are awarded to high-ability students to support them through their Sixth Form studies. Every scholarship is sponsored by a commercial company, trade association, university, professional institution, armed service, government organisation or charitable trust. Under the scheme, the pupil is awarded £600 while a further £400 goes to the School: QE will spend it on resources and equipment. The scholarship runs over two years and is reviewed at the end of the first year. Dylan, who is pictured with RAF Charitable Trust Director Justine Morton, can now benefit from hands-on work experience and support for curriculum projects, as well as the opportunity to be linked to a personal mentor. Applicants are required to take a rigorous online aptitude test, lasting for two hours. After passing this Dylan had to attend a 20-minute interview before being matched with a sponsoring organisation – in his case the RAF. The Arkwright Scholarships were established in 1991. The charity was named after the 18th Century engineer, Sir Richard Arkwright (1732–1792), who perfected the water frame and who is widely regarded as the father of the modern factory system. 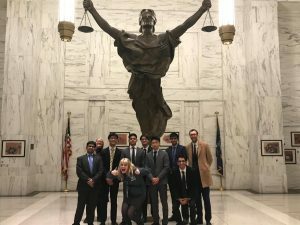 For the first time ever, a QE team qualified for the prestigious Empire Mock Trial competition in New York, where they pitted their legal knowledge and courtroom acumen against some of the world’s finest young debaters. The seven-strong Sixth Form team won their place after QE’s strong performance in the national finals in the UK Bar Mock Trial competition last academic year. 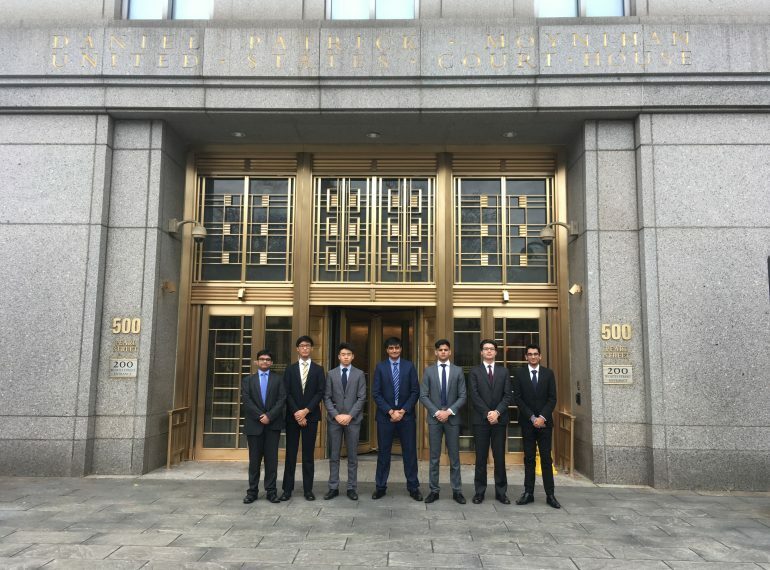 In New York XII (other Empire Mock Trial events are held in San Francisco and Atlanta), the QE boys achieved very close results against all the schools they faced and won one case, although the team was not among the overall winners. Most of the competing schools were from the USA. Empire Mock Trial also invites teams with a proven record of success from Australia, Canada, Ireland, South Korea and the UK to take part. Academic Enrichment Tutor Lucy Riseborough said the competition was a test of both ability and mental stamina. “Whilst similar to the UK version and drawing on similar skills (such as analysing and synthesising information, developing lines of questioning and argument, applying legal principles, learning procedures, effective communication and oracy) the Empire Mock Trial is based on the US courts system. The boys not only had to grapple with case files running to hundreds of pages (witness statements ran to 3,000 words each), but had to learn the different ‘objections’ to utilise (and defend themselves against) in the courtroom. With the ability of attorneys to choose which witnesses are called, the boys had to learn and prepare a lot of information that they would not, in fact, end up using; selecting the right information to deploy, and when, was therefore crucial. “Each trial lasted about three hours and they were very ‘full-on’ – the boys had to be constantly thinking on their feet in challenging circumstances. 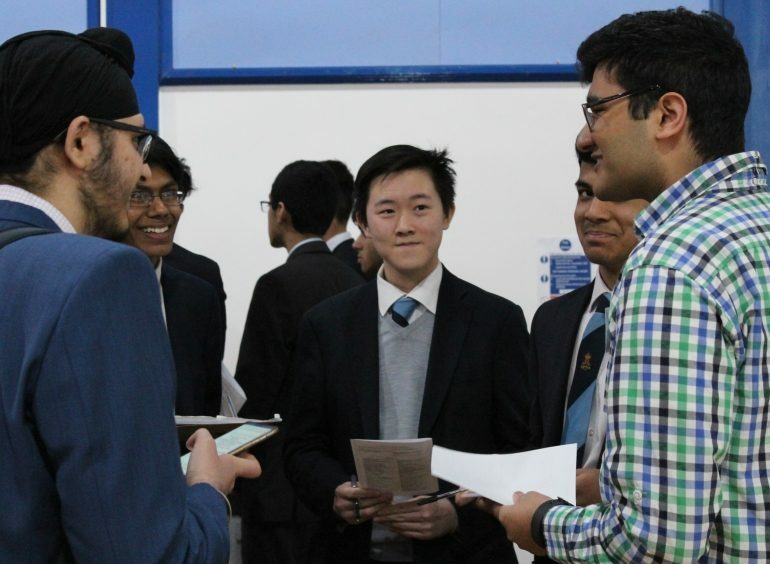 The QE team were: Kieran Dhrona, Haider Jabir, Viraj Mehta and Saifullah Shah, all of Year 12, and Year 13’s Nathan Chu, Mipham Samtem, and Anake Singh. Their preparations prior to flying to the US included a session alongside Chelmsford Girls’ Grammar School, during which lawyers advocated being bold with the use of objections. Within the QE team there were four attorneys and three witnesses. The attorneys all both prosecuted and defended (depending on which side of the case QE had been allocated) and shared each case out between them. The case the trials dealt with was set in a fictional state called ‘Empirion’ and involved a hate crime against a member of the native people called ‘Empirions’. There was a protest by the Empirions who wanted a colonial statue taken down, with a counter-demonstration taking place by those arguing it should remain. Harry, an Empirion, approached Tommy Abel (member of the counter-demonstration), who was shouting offensive slogans through a loud-hailer. An incident occurred which led to Harry being hit with the loud-hailer and then supposedly kicked when on the ground. Tommy’s defence was that he had acted in self-defence initially, and he denied then kicking Harry when the latter was on the ground. The case touched on the complexities around self-defence arguments, as well as on topical societal issues in relation to free speech and hate crimes. “There is, of course, a movement on both sides of the Atlantic arguing for the removal of supposedly colonialist symbols – such as the ‘Rhodes must fall’ campaign begun in Oxford – with the issues much-debated and hotly-contested,” said Miss Riseborough. As well as arguing the substantive charges, there were side debates (a pre-trial oral debate with the judge) around First Amendment rights. The judges were typically experienced attorneys. 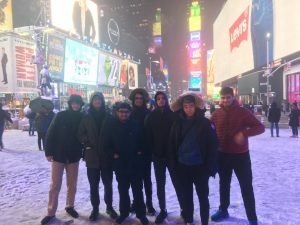 During their trip, the QE boys took the opportunity to do some sight-seeing, notwithstanding the freezing temperatures and the snow that heralded their arrival. After dinner on the first evening, they went to Times Square, whilst the following morning they walked around Central Park in the snow. On the last day they went up the Empire State building to take in the view and also visited Grand Central Station. 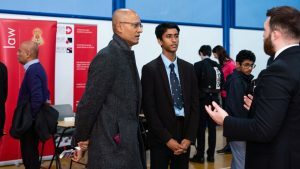 The 2018 Careers Convention set new records, with more than 50 volunteers visiting QE to help Year 11 boys plan their futures. Several visiting experts gave structured presentations, while on the main conference floor, boys and their parents seized the opportunity to ask questions of volunteers. Many of these volunteers were Old Elizabethans, including a good number of young professionals who have left the School in the past decade. Among the advisers and volunteers were representatives of all the major professions, including law, banking & finance, medicine, dentistry, architecture, science and engineering. Ashish Patel (OE 1997-2004), a medical doctor who is now Head of Research at a venture capital firm. He gave a presentation on Medicine, AI and Venture Capital. The volunteer helpers were invited to a reception and networking opportunity in Café 1573 before the convention itself got under way. Senior boys gained valuable insights into how to pursue a career in Law when two alumni visited the School – with both stressing the importance of preparation and persistence. 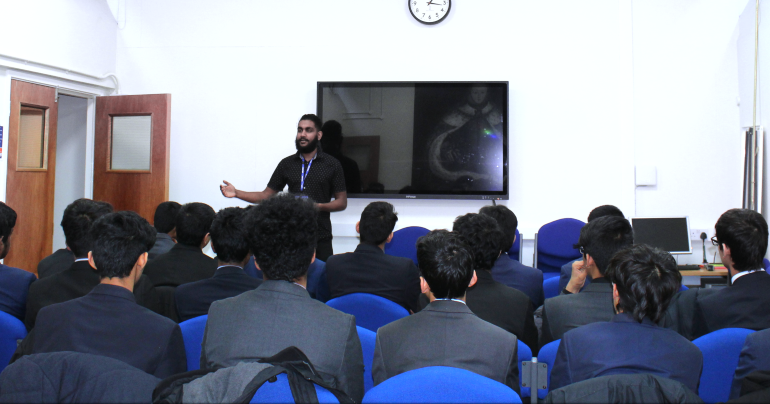 Suraj Sangani (OE 2005-2012) and his contemporary at QE, Izzet Hassan, addressed boys in Years 11, 12 and 13 as part of the Senior Lecture Programme. Izzet, who is a Future Trainee Solicitor at London-based multinational law firm, Slaughter and May, graduated with an LLB in Law from the University of Warwick before completing an MPhil in Criminology at Cambridge. He told the boys he was the first person in his family to go to university. Both of them urged boys interested in a future in the profession to apply for vacation schemes and to establish networking opportunities as soon as they could: “Face-to-face networking at dinners and other events from as early as possible pays off as it will help one to take one’s career to the next level,” said Izzet. While studying, both Izzet and Suraj applied for internships as part of the highly competitive vacation schemes. Izzet spent two weeks with Latham & Watkins, while Suraj won a place with Allen & Overy. They spoke to the boys about the transition from university to employment and the difference between academia and the world of work. Suraj also addressed the differences between a barrister and a solicitor and the distinctives of criminal, commercial and family law. They also covered university application procedures and offered advice and tips on personal statements, interviews and the Law National Aptitude Test. Both of them reflected on the importance of becoming a well-rounded person. “As well as engaging with the valuable academic studies on offer at QE, it’s important to make the most of a rich variety of extra-curricular activities such as music, sport, Young Enterprise or charity work. This is often what will set you apart from other candidates when applying for jobs,” said Izzet. The session ended with Q&As, with boys asking questions ranging from how difficult it is to gain a training contract to queries about working hours. The boys were advised not to become too disheartened if they received a few rejections in what is a highly-competitive field. “My advice is apply early and make sure you are aware of the different schemes, their opening dates and their deadlines. And keep trying!” said Izzet. 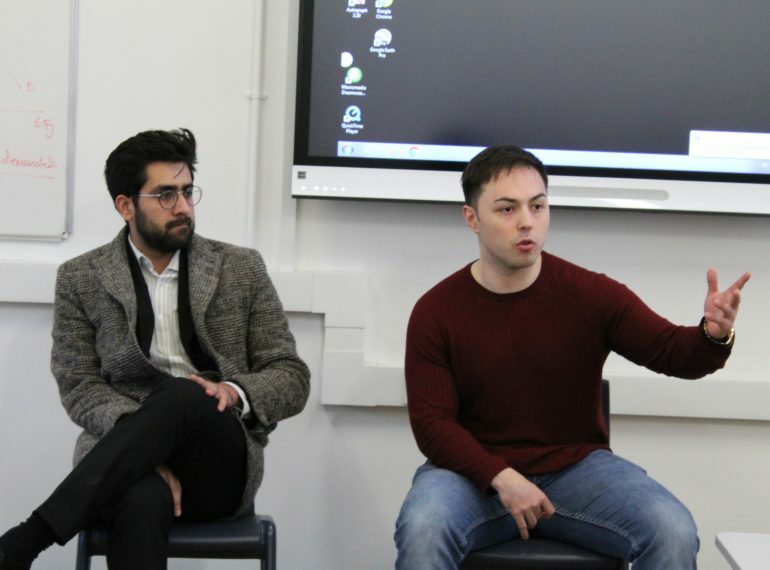 Izzet and Suraj agreed that pursuing a degree helps to improve one’s research and advocacy skills and said it was encouraging that that people can, and do, come into the profession from all different backgrounds. QE boys submit more applications to leading law, finance and management firms than pupils at any other state boys’ school, according to new research. Specialist recruitment consultancy Rare examined the applications made by more than 160,000 graduates in 2017-2018 to more than 60 graduate recruitment programmes run by blue-chip companies including Linklaters, Deloitte and Deutsche Bank. 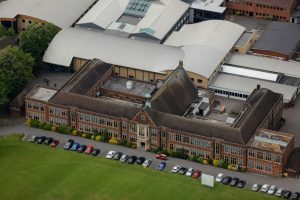 It found that QE came second in its national list of state schools, topped only by local girls’ school, The Henrietta Barnett School (HBS). Although schools such as QE and HBS have exceptionally strong A-level results, other schools with very good A-level performances failed to make Rare’s list, while some with more modest examination results do feature. According to Raphael Mokades, Rare’s Managing Director, one key factor in this concerns the quality of a school’s careers advice and contact with recruiters. Headmaster Neil Enright said: “I am very pleased to see us topping this table alongside our friends at HBS. 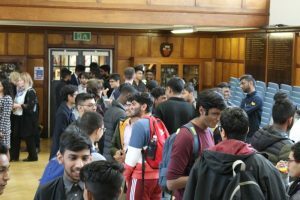 “We invest a great deal of effort into careers education, both through tailored schemes, especially for those in the Sixth Form, and through major events such as our annual Careers Convention for Year 11 boys and their parents. QE’s longstanding academic success was underlined by this summer’s A-level and GCSE results – which led to its first place nationally in the Sunday Times’ influential Parent Power survey. QE is also the top selective school in England when measured against the Department for Education’s Progress 8 figure, which records progress between the end of Key Stage 2 (the last year of primary school) and GCSE results in Year 11. 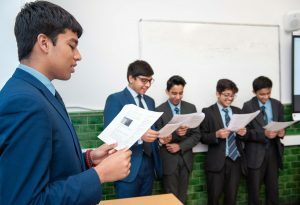 “Value-added measures such as Progress 8 show that boys from disadvantaged backgrounds (and, indeed, all our students) do better than might otherwise be expected in terms of progress made at QE,” the Headmaster added. 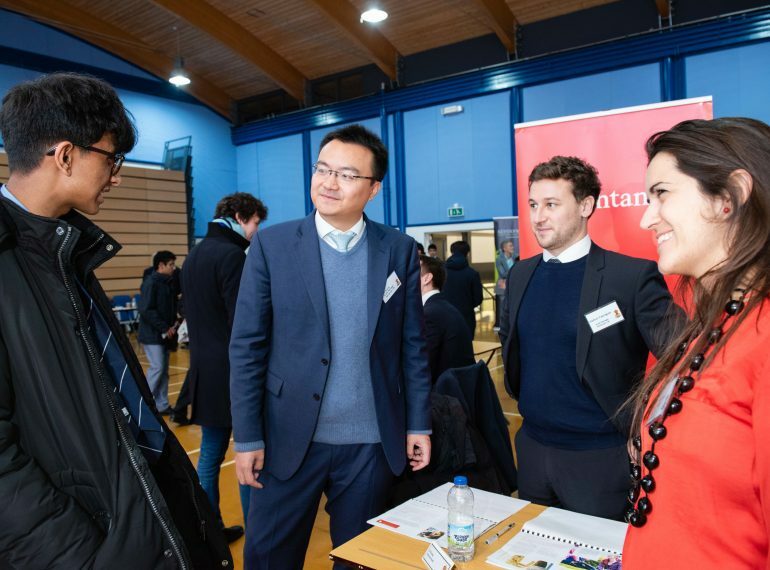 After graduating from Cambridge in 2013, Charlie Scutt has gone on to build a successful career with a company dedicated to meeting the needs of economic migrants worldwide. 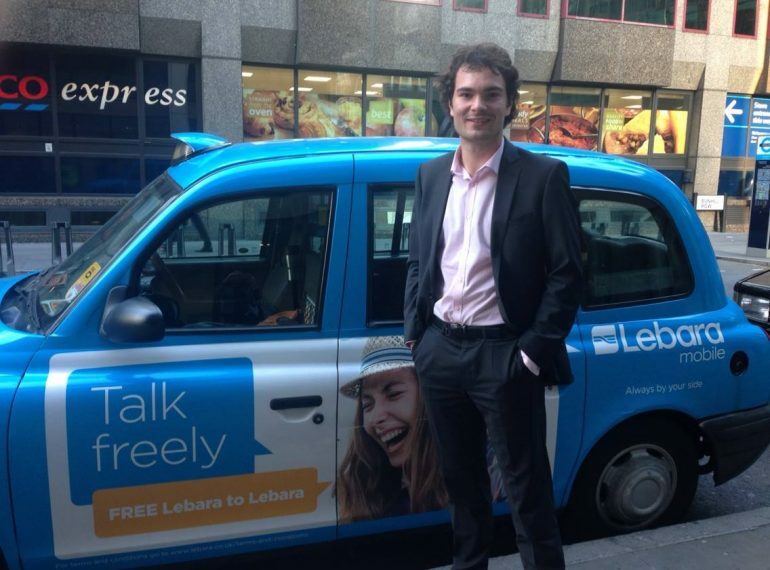 Charlie (OE 2003–2010) works for London-based Lebara, where he relishes his “funky” role as a Scrum Master & Delivery Manager. The company is known principally as a telecommunications company, although Charlie’s work has mainly been in its money transfer business. While at university, he was Girton College Cricket Club First XI captain. He has continued playing since, and three years ago made the move from his childhood club, Potters Bar CC, to the thriving Old Elizabethans CC, where he is a wicketkeeper. He is pictured here (back row, far right) with the current Old Elizabethans First XI. The vice captain (Front Row, Second from the right) is OE Paul Lissowski, who was in the year above Charlie. “I left QE in 2010 to study Geography at Cambridge, and without the support and guidance from the School – in particular Mr Enright [now Headmaster Neil Enright] and Mrs Macdonald [now Assistant Head Anne Macdonald] – that certainly wouldn’t have been possible,” says Charlie. “The reason I chose to do Geography was quite simply it was the subject I enjoyed the most. “I like the fact that Geography covers a very diverse range of areas and have always seen myself as somewhat of a ‘generalist’. Choosing it for my degree made perfect sense as it gave me the flexibility to continue learning about a breadth of topics. I certainly didn’t have my future career in mind at this point and by no means had my future planned out (or even do to this day if I’m totally honest!). My goal has always been to try to do what I enjoy, but make sure I do it to the best of my ability! “My three years in Cambridge were brilliant and I particularly enjoyed the college system whereby your college acts almost as your family away from home. Whilst the academic side of Cambridge was undoubtedly tough it was hugely rewarding, and it wasn’t all work. 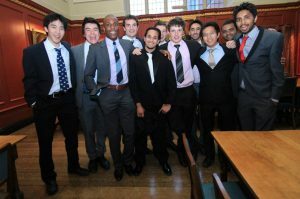 Charlie is pictured here, fourth from left, with a group of OEs who went to Cambridge with him. They arranged this reunion dinner in 2013, when he was in his third year. Throughout that time he has fulfilled a number of roles for the telecoms company. “Alongside the ability to call home, one of the next most significant needs of, in particular, economic migrants is the ability to send money home. From this idea, Lebara Money was born. Working as part of the Lebara Money team was a great experience as, whilst Lebara is a large established company, the Money team always acted as a semi-autonomous business unit; a ‘start-up’ within a larger organisation and, in my opinion, the best of both worlds. “The goal was to provide an easy and secure way to send money home online, via web or mobile app. I worked on this product for four-and-a-half years, starting off in Operations Management (helping to manage customer services, fraud prevention, minor maintenance updates to the website etc) before transitioning into Project Management. “I have increasingly focused on the technology aspects of the business though Delivery Management and (the funkily named) Scrum Mastering. This latest role essentially involves managing the end-to-end delivery of all ‘technology’ elements of the business. Having not come from a typical ‘tech’ background, this was an interesting challenge, but one I thoroughly enjoyed. “I particularly enjoy the ‘Scrum Master’ element, which essentially means managing your team in a manner whereby, rather than planning all the details of a project months or years in advance, you break everything down into small iterations and focus solely on what needs to be done over the next week or two. At the end of each iteration (referred to as a ‘sprint’) you then review what you have built and your original goals, then adapt your goals for the next ‘sprint’ based on what you have learned from the previous one. This ensures continuous learning, greater ability to adapt to change and ultimately a more agile team than you would have using traditional long-term project management methodologies where the end goal – perhaps a year or more down the line – is defined on day 1. “Methodologies such as ‘scrum’, which focus on making a team more agile, have now become the go-to way of managing software development teams across most industries, with everyone from banks to video game developers looking to roll it out (with varying degrees of success!). 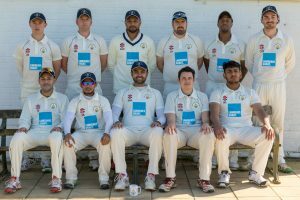 Outside of work, his decision to switch to Old Elizabethans CC has, he says, proved to be a fruitful one, as “two promotions in three years see the First XI playing the highest level of cricket in the club’s history”. 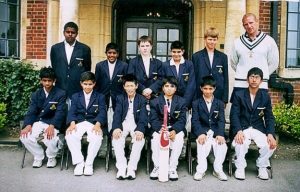 Charlie is pictured here, back row centre, in his Year 7 cricket photo at QE. A litigator working at the heart of the UK’s financial regulatory system urged on QE’s aspiring lawyers the importance of a genuine passion for the Law. 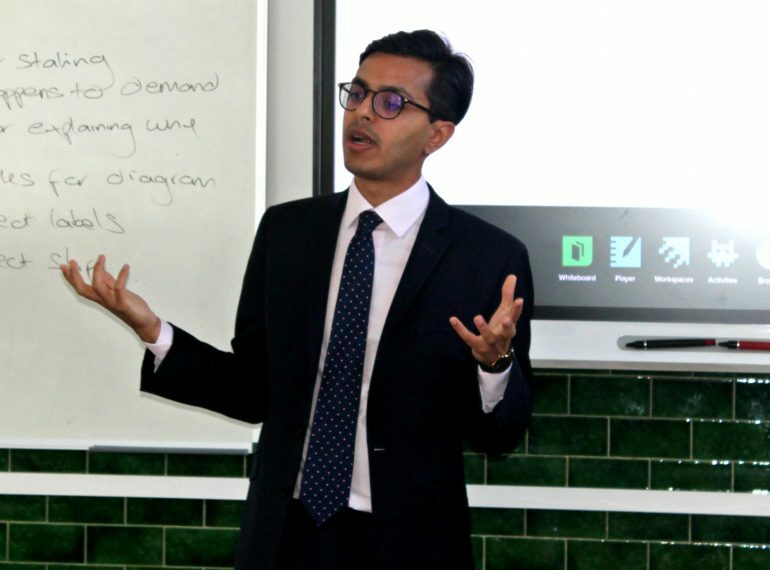 Those who possess such a passion and duly enter the legal profession must then make sure they stand out from the crowd, Samir Manek (OE 2001-2008) advised senior pupils in a lunchtime lecture. Samir, who took a First in Law at the University of Warwick, trained at Allen & Overy, one of the so-called ‘magic circle’ of leading UK law firms. He now works at the Financial Conduct Authority, where his job title is Associate (Solicitor). His role entails supervising a global investment bank to ensure adherence to the letter and spirit of the rules, and assisting with investigations into, and prosecution of, white-collar crime at investment banks. In the lecture, he told the boys: “You have to have a good and natural reason for wanting to study Law, and, once out of university, work in it – not that everyone who reads Law has to become a lawyer. It’s no good studying it because your parents have told you to, and I hope that’s not the case for anyone here,” he said, suggesting the boys needed to think about the what, where, when and why of studying Law. During his time as an undergraduate, Samir became President of the Warwick European Law Society and was involved in the university debating team. He also spent a year abroad at Utrecht University. He told the pupils it was important to take and to make opportunities to excel. 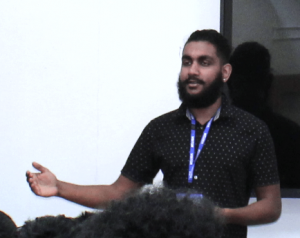 “You are all incredibly bright and, if you work hard, you’ll do well wherever you go, but think about what will make you stand out – it is always good to have a position of leadership, even if it’s not related to Law,” said Samir. 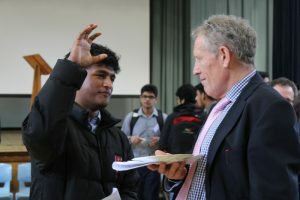 In the afternoon, after the lecture, he conducted mock interviews for a number of Year 13 boys. Head of Year 13 Michael Feven thanked Samir for contributing his time and for his sound advice. “It is very important that our boys’ career choices tally with their own strengths and interests,” he said.